This past weekend we released what may seem like minor changes, but they are part of an overall effort to make GoCanvas easier to use. Users that are new to our platform can struggle with some elements of it. So we are embarking on a journey to make it simpler and easier. This should help everyone, however. A rising tide lifts all boats! 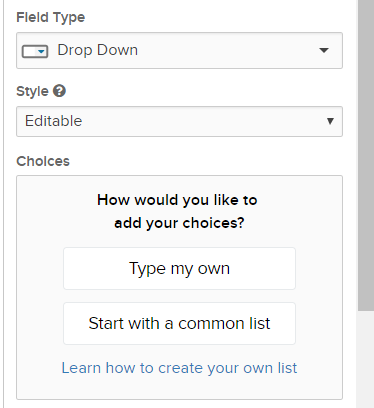 We have changed the way you add choices to this field by offering some guidance around how you want to add your choices. 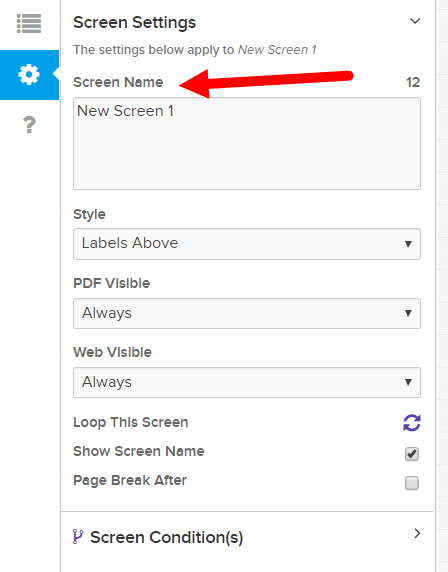 You can now edit the Screen Name in the Screen Settings area on the left hand side. We wanted to make this consistent with how Field Labels are created. You can still name your screen on the screen itself. Also, if you choose to NOT show the screen then the screen name will NOT appear on the screen itself so you can see exactly how it will appear to your mobile users. The Screen Name will still display on the right side in your App Outline. Again, to show you in the App Builder what a Web Link field will look like for the mobile user we changed this field to reflect that. If you choose to display a Web Link field as a Link then you'll see a link on the screen itself. We made a really nice change here to save you some time. - If "Currency" is a style you have picked in one of your fields then the value of the Calculation will display as a Currency style so you don't have to remember to set that yourself. - We will also change your decimal default based on the individual decimal place settings you have for the fields within your calculation. - We will change the style automatically based on the field you are summarizing. Woo hoo! This was a personal mission for me, so I'm glad to get it set up. - It will also adjust the decimal places to match the field you are summarizing. We have made AM/PM be the default style for these fields. Almost everyone uses this style instead of the 24 hour style so we changed it to match how almost everyone is using it. We didn't make really big changes here. But some of the buttons have changed to reflect what you are actually doing. 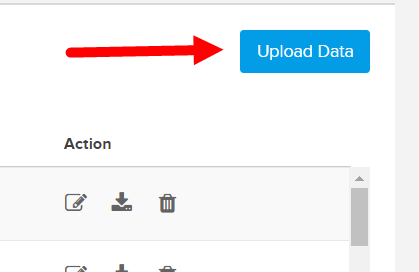 When adding new data you will push the "Upload Data" button. When editing an existing file you will push a "Re-Upload Data" button. Jump into our Community and tell us what you think!